Valentina Gombi is an experienced and passionate Thai massage therapist and teacher originating from Italy. Valentina has been studying Thai Massage over many years, in the north of Thailand. She studied at ITM – Institute of Thai Massage- in Chiang Mai with Master Chankatorn in 2000 and 2003, completing Levels I, II, III, IV and V (300 hours). Level V included the teacher training and an additional 90 hours of practical teaching experience. On her last visit to Chiang Mai, Valentina also became an apprentice of Master Itthidet Manarat (Poo), who taught her a therapeutic style of Thai massage, which focuses more on energy and nerve realignment. The Course with Poo added an extra 150 Hrs of training and supervised practice to her curriculum. Valentina has been practicing Thai Massage full time in Byron Bay since 2000 and has built up a large clientele who appreciate her gift, her natural talent, strength, intuition and her passion for releasing tension. 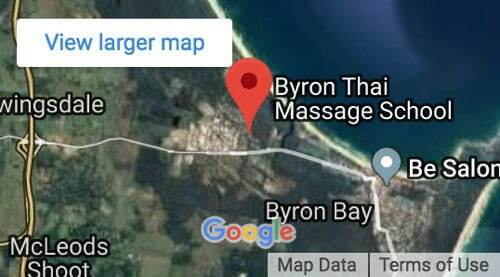 Since Feb 2004 Valentina has been regularly teaching 3-week intensive Thai Massage training courses in Byron Bay, Australia. In December 2006, Valentina studied a 5-day full time, one on one, advanced Thai Massage course with the international Thai Yoga Massage teacher Arnaud L’Hermitte. She learnt a different style of work typical of Master Pichest Boonthamme with advanced procedures and stretches that further enriched her treatments and offer diversity to her style. After 10 years of teaching intensive courses Valentina decided to start sharing all of her knowledge and has created other course formats with different sequencing to the original she studied at ITM. These are both the 5-day Basic Thai Massage courses and the Advanced Thai Massage Training, including all private tuition. In the Advanced training she mostly passes on all the various bits and pieces of techniques, stretches and meridian work (sen work) picked up from all Masters and practitioners encountered. Valentina has a wealth of experience gained through her studies with various Thai Masters as well as her own practice and teaching of Thai Massage. Her love for movement, dance and alternative therapies have given her deep insight into healing and the human body. With precision and patience, Valentina shares her knowledge in a way that will inspire. Valentina focuses particularly on body mechanics. Use of correct posture, breath and body awareness ensures that the practitioner is comfortable and safe from injury. Practiced this way, both the practitioner and client will receive healing benefits. Following Valentina’s teaching of presence and body awareness, you will feel energized and filled with metta (loving kindness) after giving a massage.